George Bush once famously asked whether “our children is learning,” demonstrating that those setting policy for education might be least suited for measuring the efficacy of education. Two different members of Congress in the last day suggest the same is true of counterterrorism policy. First there was IN Senator Dan Coats, who apparently attributed his understanding of terrorism tactics to 24 and Homeland yesterday. As Mia Bloom pointed out, they’re fiction (though probably supported by intelligence agencies). Experts have attacked the realism of both shows. The worst part of Coats admitting he takes 24 and Homeland as true, though, is that he’s on the Senate Intelligence Committee. He has — or should have — a way of getting factual details about terrorist tactics. He appears to turn to fiction instead. Who knows what source CA Congresswoman (and Senate candidate) Loretta Sanchez relied on for her claim that 5 to 20% of Muslims want a Caliphate. “There is a small group, and we don’t know how big that is—it can be anywhere between 5 and 20 percent, from the people that I speak to—that Islam is their religion and who have a desire for a caliphate and to institute that in anyway possible, and in particular go after what they consider Western norms—our way of life,” she said. But she, like Coats, is privy to intelligence briefings on both the Armed Services and — especially, in this context — Homeland Security Committees. Did some whackdoodle from Homeland Security tell Sanchez a significant chunk of Muslims are itching to set up an all-Muslim empire? Something’s wrong with our congressional briefing process. Either these people aren’t attending, they’re not useful, or they’re being fed junk. And it’s making America less safe. https://www.emptywheel.net/wp-content/uploads/2016/07/Logo-Web.png 0 0 emptywheel https://www.emptywheel.net/wp-content/uploads/2016/07/Logo-Web.png emptywheel2015-12-11 13:28:502015-12-12 17:07:59"Is Our Congressmens Learning? Representative Dana Rohrabacher (R-CA) tried to pull a fast one over the weekend and sneak in as a “last minute replacement” on a Congressional delegation to Afghanistan. The problem was that, as BBC reported, the rest of the delegation had visas for entry but Rohrabacher did not. Afghanistan’s President Hamid Karzai learned that Rohrabacher had joined the group prior to it leaving Dubai for Kabul, and he instructed US Secretary of State Hillary Clinton to ground the flight until Rohrabacher was removed. I find it really hard to believe that Rohrabacher did not plan to be a part of the trip from the start, but wanted to avoid advance publication of his plans. Back in January, Rohrabacher, along with his usual co-conspirators Louie Gohmert (R-TX) and Steve King (R-IA), somehow managed to get Representative Loretta Sanchez (D-CA) to lend a patina of “bipartisanship” to a meeting held in Berlin that many viewed as a call to partition Afghanistan and to arm opposition groups such as the Northern Alliance. This meeting made Karzai “incredibly angry”, giving Rohrabacher good reason to try to stay below Karzai’s radar. 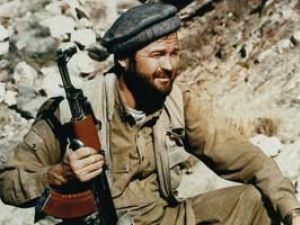 Further, Rohrabacher also held a Congressional hearing on establishing an independent Balochistan, which, if drawn according to cultural lines, would take territory from Pakistan, Iran and Afghanistan.